Massage therapy is the manipulation of soft tissues of the body including, muscles, connective tissues, tendons, ligaments and joints. Massage Therapy is a great option that can help you overcome varies acute or chronic conditions associated with an everyday stress or a muscular over-use and many chronic pain conditions. Swedish, deep tissue, trigger point therapy, relaxation, myofascial release, sports, hydrotherapy applications, therapeutic exercise, pregnancy & post-natal, children, thai massage, joint mobilization, and hot stone. Treatment Focused Massage Therapy involves a range of techniques and styles, such as deep tissue massage, trigger point therapy, and facial work, which focus on treating specific injuries and repairing the damage. Treatment focused massage therapy will often involve an assessment of the client in order to isolate the muscles that are functioning incorrectly and identify muscle and postural imbalances. Visit What to Expect page to learn more. Whether you are coming for a treatment or a preventative reasons, massage could be a great solution. We work with a broad variety of clients. Athletes that are getting ready for a marathon run or simply gym enthusiast. Someone who would like to release muscle tension chronic aches and pains, or someone coming for a for preventative reasons and a general feeling of wellness. Is a firmer pressure massage that works on specific muscles and tighter areas. It helps relieve muscle spasm and any related pain while improving flexibility and posture. 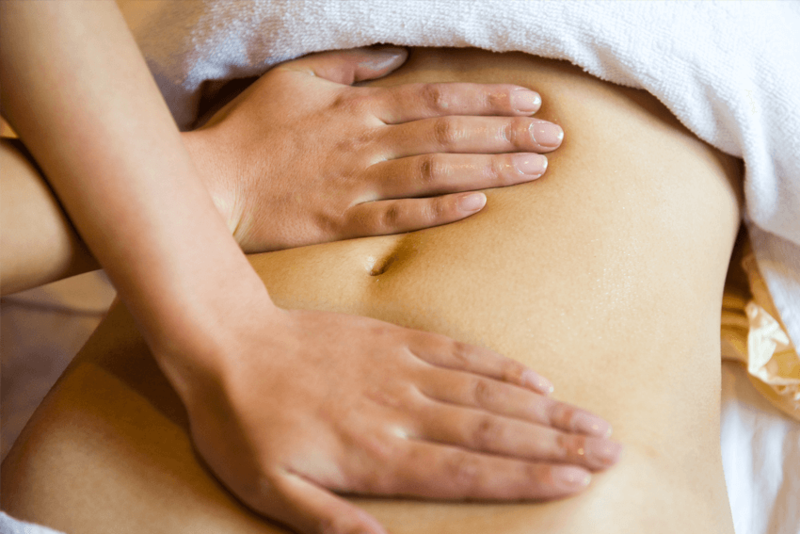 Deep tissue massage is intended to relieve firm tension in the muscle and the connective tissue. Was developed in the 1700s by Swedish physician Per Henrik Ling. There are six different strokes used in Swedish massage. Effleurage (gliding/sliding), petrissage (kneading), vibration, friction, tapotement (percussion or tapping) and traction. The purpose of Swedish massage is to increase the blood’s oxygen flow and help in toxin removal from the muscles. Deactivates trigger points that cause pain. Pressure is applied to relieve the pain and release a trigger point. This therapy method is recognized as an effective treatment for pain, and is very useful in the relief of: back pain, neck pain, shoulder pain, knee pain, sciatica, headaches, muscle pain, joint pain. Is an alternative medicine therapy that focuses on releasing muscular shortness and tightness by relaxing contracted muscles and improving blood and lymphatic circulation and stimulating the stretch reflex in muscles. Aims to relieve the physical discomforts associated with pregnancy especially in the lower back, neck and hips. Remember to check with your doctor before booking an appointment to ensure that massage therapy is right for you. 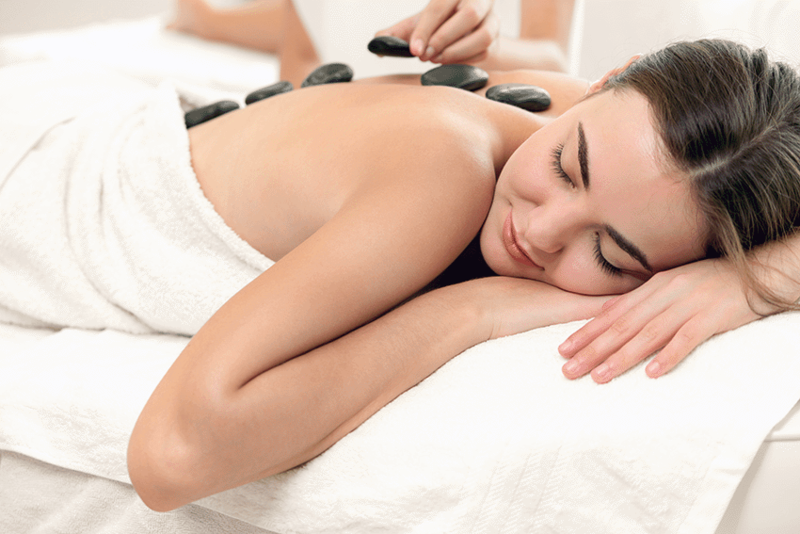 During a hot stone massage, your therapist will perform Swedish massage techniques with the hot stones in the hands. The therapist will be changing stones as they cool down. It has been shown to be effective for a quicker recovery and better overall health. Postpartum massage is as important and beneficial for hormone regulation, reduced swelling, better sleep and improved breastfeeding. Is an ancient healing system combining acupressure, Indian Ayurvedic principles, and assisted yoga postures. Thai massage uses no oils or lotions. There is constant body contact between the massage therapist and the patient, but rather than rubbing on muscles, the body is compressed, pulled, stretched and rocked. Uses various massage techniques to improve recovery and performance, and reduce the pain in muscles, joints, and tendons as a result of the sporting activity. Is a special procedure that helps a person to relax; to attain a state of increased calmness; or otherwise reduce levels of anxiety, stress or anger. It is often employed as one element of a wider stress management program and can decrease muscle tension, lower the blood pressure and slow heart and breath rates. It helps in promoting relaxation, improves sleep and positively impacts growth and brainwave activity in growing bodies. It can also help to reduce the discomforts of colic and gas. Pediatric massage therapy takes into consideration each child's individual physical development, cognitive development, and health care needs. Is a unique, evidence-based form of instrument for soft tissue mobilization that enables the therapist to effectively and efficiently address soft tissue lesions and fascial restrictions resulting in restoration of pain-free movement and function.